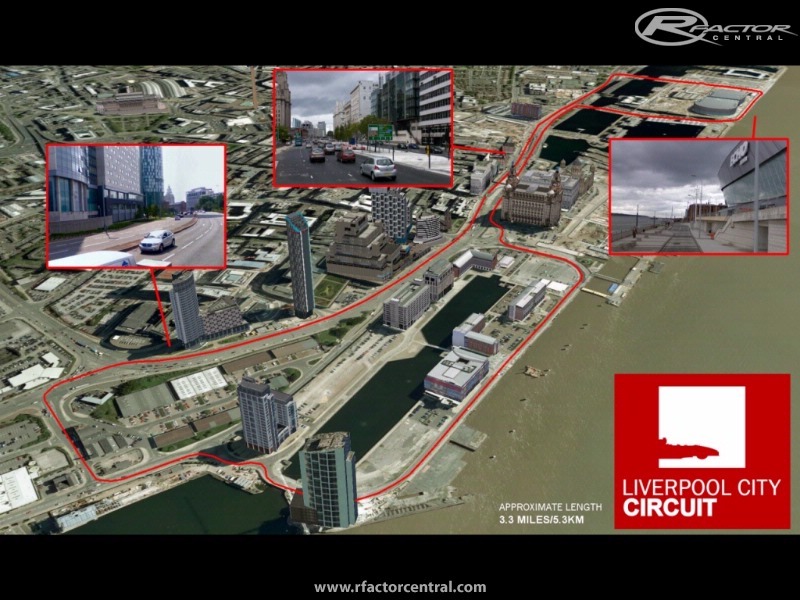 Using real roads within the city of Liverpool, the Liverpool Waterfront Circuit is a temporary circuit that races along the edge of the river Mersey, past some of the most historic and stunning buildings and views that the city has to offer. Although not an actual track, every care is being taken to make sure that what is being developed is entirely plausible and is as close to the real thing as possible. Due to my current situation, I am fortunate enough to be around this location nearly every day of my life and I am able to collect an unlimited amount of reference material. The circuit itself is 5.3km in length and features a mighty 2km long flat out section that will test engines to their limit in addition to a variety of fast and technical corners that will test the driver to the limit as well. One mistake and you will easily find yourself in the barriers. Here is a rough list of what needs doing and what has been done so far. Emphasis on the word "rough".